Fresh from Sundance, Naomi Watts attended the 2019 American Australian Arts Awards at Skylight Modern last night(January 31st) in New York City. 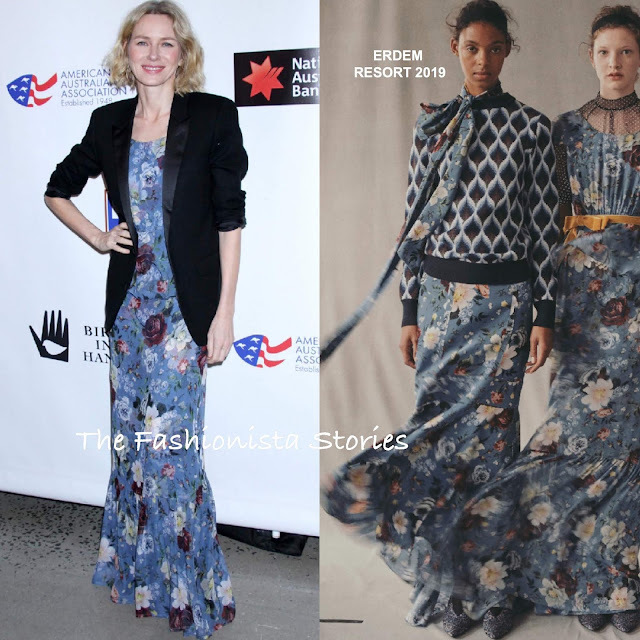 Naomi was all smiles posing a floor sweeping floral dress from the ERDEM RESORT 2019 collection. Adding a masculine touch to her feminine floral piece, she wore a black blazer. I get the direction that she was going with the blazer, but it didn't execute to my liking, especially with the rolled up sleeves. Her beauty look which featured loose, wavy blonde locks, and pink lips completed her look. Are you sold on the blazer?